Adonara is an island located in the Nusa Tenggara islands, in the eastern island of Flores. Its area is 509 km², and its highest point is 1,676 m. The island is bounded by Solor Strait in the south (separating the island of Solor), the Flores Sea to the north, and Lowotobi Strait in the west (separating the island of Flores). 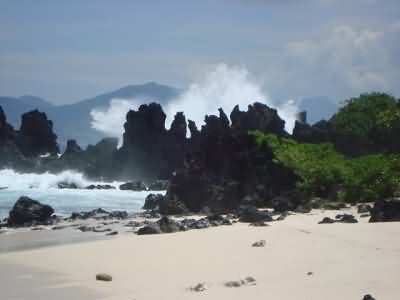 Administratively, Adonara is included in the district of East Flores, East Nusa Tenggara Province, Indonesia. 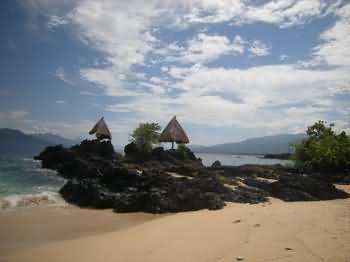 Adonara is one of two main islands in the archipelago in East Flores regency. Adonara was formerly a kingdom established in 1650. The history on Adonara is documented from the 16th century, when Portuguese missionaries and traders established a post on the nearby island of Solor. By that time, Adonara and the surrounding islands were ritually divided between a a population mainly settling the mountainous inland called Demon and population of coastal dwellers known as Paji. The Paji were susceptible to Islam, while the Demon tended to fall under Portuguese influence. 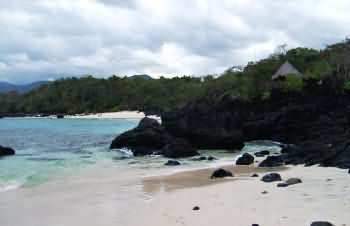 The Paji areas on Adonara contained three principalities: Terong, Adonara proper (centered on the north coast of the island) and Lamahala (on the south coast). Together with two principalities on Solor, Lohayong and Lamakera, they constituted a league called Watan Lema (“the five shores”). The Watan Lema allied with the Dutch East India Company(VOC) in 1613, confirmed in 1646. 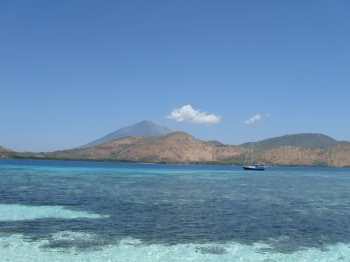 The Adonara principalities had frequent feuds with the Portuguese in Larantuka on Flores, and were not always obedient to the Dutch authorities. Adonara is a part of the Indonesian regency of East Nusa Tenggara. Most of Adonara people living in out side from the island and distribute for nearest islands till in far away island like tawao, nunukan and sabah. 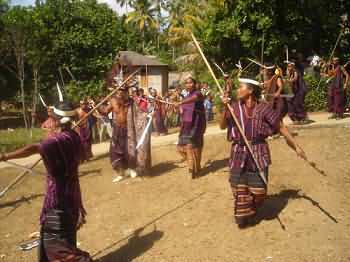 Adonara is famous for its beauty in tourism aspect, especially in culture. People from outside this island knowing well Adonara with their stylish food named “jagung titi”. There also traditionally produce unique garment called as “kewatek”. It’s the proof that the beauty of the beach was not only owned by Bali or known as the Land of God. In East Nusa Tenggara, there are many locations that store millions charms. And even more. Neren Watotena Coast is fairly pristine as it is located quite far from the city of Kupang. 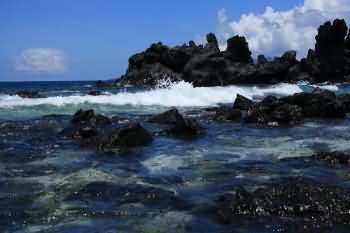 The seductive charm of blue sea plus the unique rock formations make this beach so exotic. Feel like walking along the beach? You will be pampered with white sand that stretches up to seven kilometers. It was the loss of God’s creation if wasted. Unfortunately (or maybe fortunately), Neren Watotena is very difficult to reach from downtown. Watotena in terms of language means rockship, it’s because the beach is located on the coastline of East Adonara, with its white sand beach is full of big rocks like a ship. Currently, the beach is managed by Catholic Youth of Waiwerang. 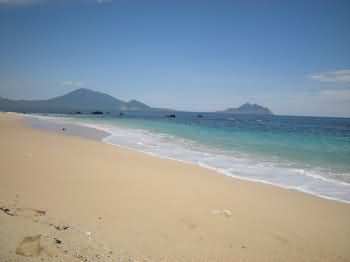 It’s not expensive to get to this beach( if the starting point is from Waiwerang-Adonara, but if the starting pointg is Jakarta, it takes about IDR 1 million(USD $100) for a round-trip using Sirimau boat from Tanjung Priok to Tanjung Bunga-Larantuka, if you prefer using plane it takes for about IDR 2 million (USD $200) for the route Jakarta-Maumere-Larantuka-Waiwerang), from Waiwerang, you just need to take a ride on a public transportation for IDR 5,000 (USD $0.5 – then walk by foot or it will be better for you to rent a motorcycle rental for more or less IDR 20 000 (USD $2). The entrance fees is IDR 2000, – per bike/motorcycle. Sundays are usually the crowded times, the beach will be full of vistors, so if you want to go out with white sand and the sound of the waves just come on weekdays this beach will be deserted and its beauty will be more enchanting. Watotena beach lies below the Mountain Boleng that towering about 1,700 m above sea level. The weather in East Nusa Tenggara is pretty extreme and also very influential to the height and size of waves at this beach.